The global asset management arm of Manulife Financial has become a signatory to the Principles for Responsible Investment (PRI). This is an initiative supported by the United Nations that has brought together an international network of investors who aim to put the six Principles for Responsible Investment into practice. The overall goal is to understand the implications of sustainability for investors and support signatories to incorporate these issues into their investment decision-making and ownership practices. So far 1,300 companies have joined PRI worldwide, representing nearly $60 trillion (USD) in assets. The six principles include incorporating environmental, social and corporate governance (ESG) issues into investment decision-making, owning ESG and incorporating the issues into policies, working together to implement the principles, reporting progress, promoting acceptance and implementation of the principles within the industry and seeking appropriate disclosure of ESG issues by entities in which companies invest. Warren Thomson, senior executive vice president and chief investment officer with Manulife said: "We are proud to become a PRI signatory. In doing so, we are demonstrating our commitment to responsible investment by formalizing our approach to integrating environmental, social and corporate governance (ESG) issues into our investment analysis." 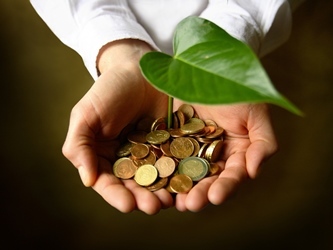 Before this point, Manulife Asset Management claims to have already been considering the various ESG factors in many of their investment decisions. Joining the initiative takes it to the next level and gives Manulife six core principles to consider when making investment decision. As part of the work they have already done to fit in with this agenda, Manulife manages sustainable investment strategies up to $14b (USD) in timber and farmland. "We believe ESG factors contribute to the risk of an investment and good management of ESG risks can lead to long-term sustainable returns. In considering an investment, we have enhanced tools to determine ESG risk exposure, which is increasingly important to our global clients," said Kai Sotorp, president and CEO of Manulife Asset Management.